The ANS Panther is a classy fiberglass pedicure spa that features an elegant design and contemporary looks. Add a touch of beauty to your salon with this sharp and stylish pedicure spa. The ANS Panther is acetone-resistant and includes a protective gel-coating that guards the spa and sink from rust and corrosion. This beautiful pedicure spa features removable side and back panels, an adjustable footrest, polished chrome hardware, stainless steel shower hose, built-in LED color therapy light, FREE matching pedicure stool. 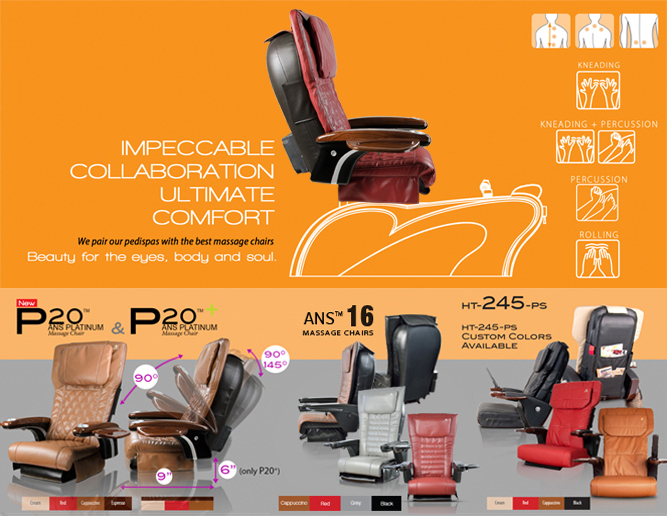 The ANS Panther also includes a premium massage chair of your choice. You will earn 1899 Points for purchasing this product. The popular and elegant ANS Panther pedicure spa is made with quality fiberglass and is designed and assembled in the USA. Each ANS Panther Pedicure Spa is ETL-certified for safety and is carefully tested by trained technicians before leaving our location. 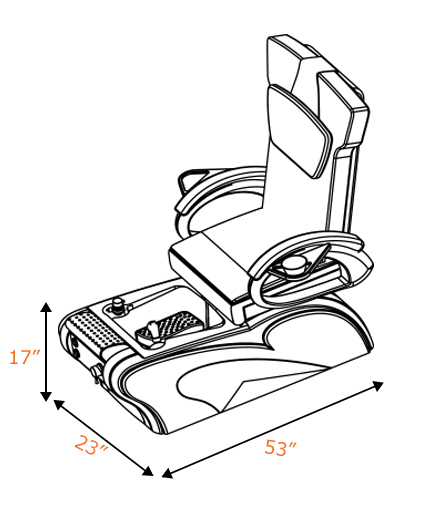 For convenience, the ANS Panther has removable side and back panels for easy access to the interior of the pedicure spa. Each ANS Panther also comes equipped with a powerful ANS Liner Jet for a soothing whirlpool effect. The ANS Panther features a removable fiberglass sink bowl; an adjustable waterproof, fiberglass footrest; an easy-to-control, front-mounted faucet; a pullout, multifunction shower head; an embedded LED light color therapy; free matching pedicure stool. 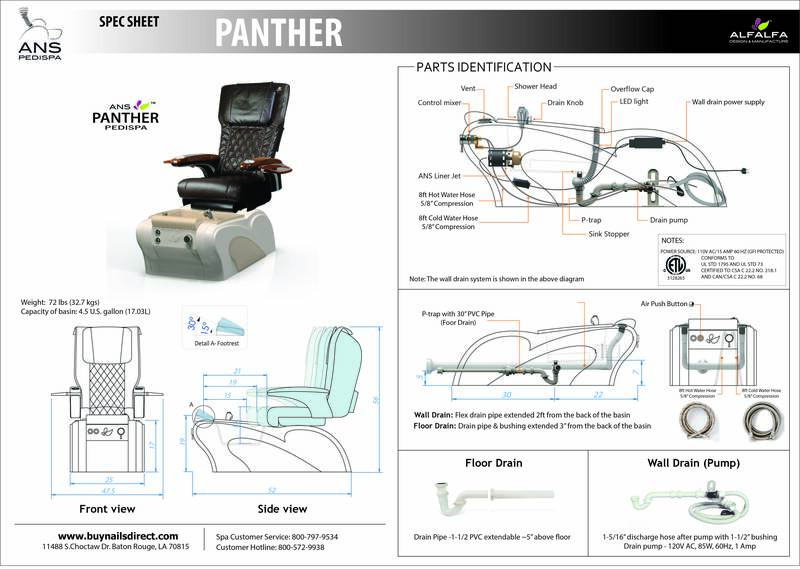 Each ANS Panther includes a genuine Human Touch Massage Chair. Human Touch massage chairs come in a variety of colors and are made with soft, marine-grade leather.